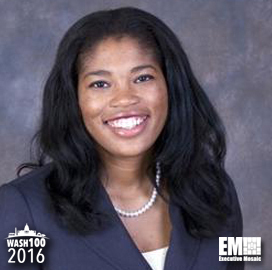 Executive Mosaic is glad to announce Denise Turner Roth, head of the General Services Administration, as an inductee into the 2016 edition of the Wash100 — Executive Mosaic’s annual selection of influential leaders in the government contracting industry. Roth received Senate confirmation as GSA administrator in August 2015, three months after President Barack Obama nominated her to serve in the administrator position on a full-time basis. She assumed the role of acting GSA administrator in February 2015, when then-leader Dan Tangherlini resigned from the post after nearly three years at the helm. Since Roth’s confirmation, GSA has introduced changes to the multiple-award schedules program and implemented a category management model in an effort to help agencies modify how they acquire products and services. Prior to her confirmation, Roth told Federal Times in an interview she will work to prioritize transparency, shared services and multi-agency collaboration efforts. “Ultimately, having managers or people who are really responsible for a certain type of spend, strategically placed across government, I think is going to be of great benefit,” Roth said in that interview. Roth joined the agency in 2014 as deputy administrator after service as city manager of Greensboro, North Carolina from 2008 through 2014. Executive Mosaic extends its congratulations to Roth and the GSA team for their selection to receive this award.